A callous Margate thief who stole from a man as he lay dying and then went on a spending spree on beer, tobacco and scratch cards, has been jailed for two years. At around 6.20pm on Saturday 23 September, residents living in one of the flats of a property in Sweyn Road, Margate, found an unknown man unconscious at the bottom of the communal stairs and called an ambulance. The man was taken to a London hospital in a serious condition. Unable to identify him as he had no wallet, phone or identification documents on him, the hospital called Kent Police for assistance. Officers from the Kent and Essex Serious Crime Directorate carried out enquiries and the man was identified as Ian Birch the following day. Sadly Mr Birch never regained consciousness and died on Tuesday 26 September. Currently officers are treating Mr Birch’s death as unexplained although not suspicious, and it is now a matter for the coroner. As part of their investigations into Mr Birch’s final movements, officers found that he was carrying a bank card and phone that day. The card itself had then been used a total of 12 times during the time Mr Birch was in hospital, on transactions totalling almost £270. 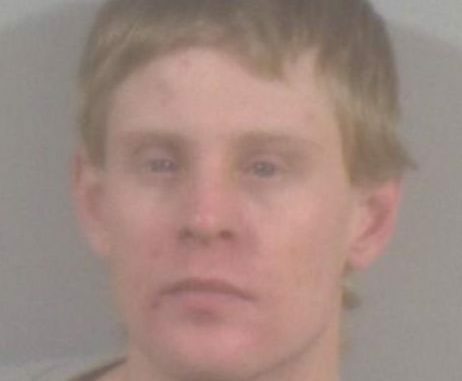 John Yarwood, 31, of no fixed address, was seen in local shops using the bank card on beer, tobacco and scratch cards. Police also discovered Yarwood had convinced a friend to sell on the victim’s missing phone to a second-hand shop on his behalf. Yarwood, who had been staying in Sweyn Road at the time, tried to claim he had found the bank card outside near the bins, but in court admitted he had taken the personal items from Mr Birch as he lay unconscious while other residents were calling an ambulance. At Canterbury Crown Court Yarwood was sentenced to a total of two years in prison for a count of theft and a count of fraud. Detective Constable Paul Oliver said: “When Mr Birch was found seriously injured, despite him being unknown to the residents, there were a lot of people rallying round to help him and ensure medical treatment was given as soon as possible. “However Yarwood chose to search the pockets of Mr Birch and steal instead, actions which meant without the identity available, there was a delay in friends and loved ones being told he was in hospital.